Freddie Mac has just released Multifamily Green Advantage, a green financing offering that provides beneficial loan terms to borrowers who commit to assessing or improving a property’s energy or water performance. In announcing this program, Freddie Mac is the latest to join the agency green lending movement: both Fannie Mae and HUD recently established similar green programs that reward borrowers for increasing efficiency and achieving green building certifications. Tony Liou, President of Partner Energy, and Drew McCreery, Technical Director of Agency Services at Partner Engineering and Science, will team up to host a webinar about the Agency Green Lending Programs on September 15th at 2pm EST. The webinar will clarify specifics of each of these agency green financing offerings, and provide valuable information and resources to help you determine potential pay-offs and the best options for taking advantage of them. The webinar is offered free-of-charge, and will include an opportunity to ask questions. Please register today! For more information on Freddie Mac’s Multifamily Green Advantage℠ program, please click here. Interested in attending the world’s largest design event? Held at the Los Angeles Convention Center June 24-26 2016, the Dwell on Design Los Angeles conference will host world-class speakers, product demonstrations, continuing education classes for design professionals, and seminars for design-seeking consumers. Partner Energy will be offering “Cracking the Code: Lowering Project Cost through Energy Savings and Achieving Net Zero” panel presentation. The panel will illuminate the critical intersection of housing development and energy efficiency. This session is designed specifically for developers and consultants to familiarize them with the real budgetary and functional challenges (as well as benefits) of meeting energy requirements for new tax credit projects. The presentation will be held on Friday, June 24th 2016 from 11:30 am to 12:30 pm and is worth 1 GBCI credit. Learning objectives include understanding the budgetary and functional challenges of meeting energy requirements for new tax projects, cohesion between housing development teams and energy efficiency teams, how budgets are affected in the process due to expected and unexpected costs, and the do’s and don’ts with working with new tax credit projects. Sunday, May 22, 2015 Wednesday, May 25, 2015 – Washington D.C.
Join Partner Energy at the 2016 NADCO Spring Summit on Sunday, May 22nd through Wednesday, May 25th 2016. 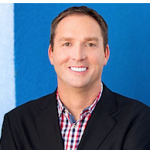 Our SBA Guru and National Client Manager, John Rockwell, will be paneling in Breakout Session III, Creative Uses for the Energy Initiative – Non Hotel/Motel. This discussion will cover the topic of the SBA 504 loan and going green. Many borrowers are unaware of the ability to unlock additional capital by introducing green measures. This discussing will talk about innovative ways to incorporate the green incentive in non-hotel/motel properties. Join Partner Energy’s workshop, Lower Project Cost Through Energy Savings: Cracking the Code, at the 2016 Housing California Conference on Thursday, April 14th. The presentation will be moderated by Partner Energy’s Kelsey Shaw and will cover how budgets are affected by various costs including utility allowances, anticipated operational costs, marginal building costs, and the interpretations of net zero. The presentation will go beyond covering sustainable design solutions and materials–it will dive into project pro-forma’s based on actual project data. Join the conversation and register here. The program is delivered via face-to-face group sessions (7 core instruction hours in one session). SBA guru, John Rockwell, will be hosting the Catalyzing Commercial Installations: The SBA 504 Green Loan Program Webinar alongside SHC Alliance on Tuesday, February 23rd at 10:00 AM PST. 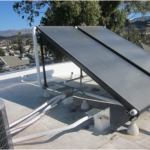 The Small Business Administration (SBA) Green Loan Program offers significant opportunities for solar heating and cooling businesses on commercial projects, but the program remains underutilized. Features include lower down payments and interest rates than traditional bank financing. Each funded project is required to provide community benefits, and in recent years this category has expanded to include on-site renewable energy systems. Register today to learn about exceeding the traditional SBA loan amount by installing renewable energy systems. Scott Blunk, Director at Partner Energy, will be hosting the 2016 Building Efficiency Standards: Changes and Challenges seminars on behalf of Green Technology. Learn about California’s updates to building efficiency standards and changes that will become mandatory in January 2017. With each cycle, California’s Energy Code is moving closer toward the goal of ZNE for all new construction. 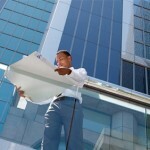 Mandates for efficiency in existing buildings are expanding. 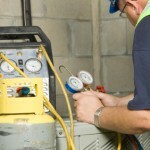 Retrofits will require code compliance. Don’t get caught by surprise! 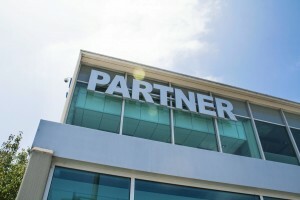 Partner Energy, nationwide provider of energy efficiency consulting services, has joined the Global Real Estate Sustainability Benchmark (GRESB)organization as an Associate Member, and will host the 2015 GRESB Results Event and Investor Analyst Training on Wednesday, November 4th in Los Angeles, California. This exclusive and only West Coast event, will provide the release of the 2015 GRESB Survey results where GRESB COO, Chris Pyke, will present on GRESB insights. A fast-paced discussion on new opportunities and innovate ways of sustainability integration into real estate will follow the presentation. Prior to the evening event, GRESB will hold an Investor and Analyst training program for GRESB members and other interested participants. 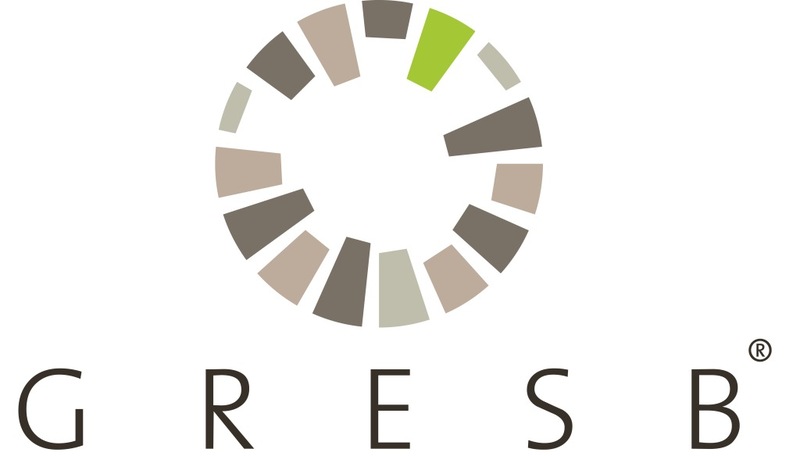 The training session will explore how investors and GRESB Survey participants use the GRESB Benchmark Report results as a means to better understand and manage their portfolios. Register for the Analyst Training here. Register for the GRESB Results Event here. Partner Energy’s John Rockwell will be presenting a webinar on SBA 5 04 Green Public Policy Goals alongside Mountain West Small Business Finance on October 5th at 9am PST. 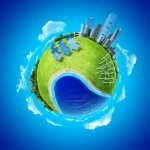 Did you know you can qualify for more money by going green? By either reducing energy consumption or generating renewable energy by 10%, borrowers can increase their SBA 504 loan amount to $5.5 million. Learn about this and other ways to exceed traditional 504 loan amounts with this informative webinar. Join Partner Energy at the Solar Power International (SPI) on Monday, September 14th at the Anaheim Convention Center in Anaheim, California. Partner Energy’s SBA guru, John Rockwell, will be presenting on a panel discussing SBA 504 Green Loans and other ways to finance solar thermal. Participate in this thought-provoking workshop as industry experts discuss efforts to provide policy and financing support to streamline the implementation of solar heating and cooling. The panel will also discuss market transformation through installation, permitting, and inspections. Join Partner Energy at the 2015 Mid-America Lender’s Conference on Monday, August 31st! Our SBA expert, John Rockwell, will be discussing SBA Loans for Energy and Green Projects. Join this informational presentation and learn about the benefits of going green! Partner Energy’s John Rockwell and Derek Russell will be presenting a webinar on SBA 504 Green Public Policy Goals alongside Colorado Lending Source on April 30th at 10am PST. The SBA 504 loan program is one of the few consistent sources of capital for real estate construction and acquisition projects today. Recent changes to the program have enabled borrowers to unlock project capital at a rate that was previously impossible. Join us as we learn about the renewable energy and reduction options available to borrowers. Derek Russell was also recently featured as a guest blogger on Colorado Lending Source, where he shares his expert insight on the SBA 504 Green Loan Program and how borrowers have the opportunity to reset borrowing limits by going green. Partner Energy is proud to attend the Asian American Hotel Owners Association (AAHOA) Annual Convention & Trade Show at the Long Beach Convention & Entertainment Center in Long Beach, California. Join Partner Energy, as well as over 12,000 AAHOA members at this showcase event. Take part in educational programs, listen to esteemed guest speakers, and witness world-class entertainment. Register here. Join Partner Energy at the annual Municipal Green Building Conference & Expo (MGBCE) on Thursday, April 23rd at the Southern California Gas Energy and Resource Center in Downey, CA. Partner Energy will be offering two presentations: Implementing Sustainability into Municipal Code and Sustainability in Affordable Housing – The Challenges and the Benefits. Participate in stimulating discussions on strategies for collaboration between cities implementing LEED and the Living Building Challenge, and building on regional efforts on benchmarking and disclosure. Register here. Join the Green Rehabs: How to Get What You Pay For Workshop on Tuesday, April 28th at the Housing California 2015 Annual Conference in Sacramento, California to learn more about incorporating suitability into your rehab. Tony Liou, president of Partner Energy, will be on the workshop panel sharing his industry expertise on how to incorporate cost-effective practices into your project in order to make sustainability truly pay off. Learn about common missed opportunities, challenges, and strategies. Register here. Join us at the 2014 SCANPH Conference! Join the CTCAC/CDLAC’s Sustainable Building Management Practices: Getting the Most Out of Your Green Rehab Workshop on October 9th at the SCANPH Conference in Downtown Los Angeles to learn more about Commissioning, BPI Certification and Operations and Maintenance Manual development. Tony Liou, president of Partner Energy, will be on the workshop panel sharing his unique expertise regarding these energy services and how they can benefit any project, along with adding points to CTCAC/CDLAC applications. Register here. 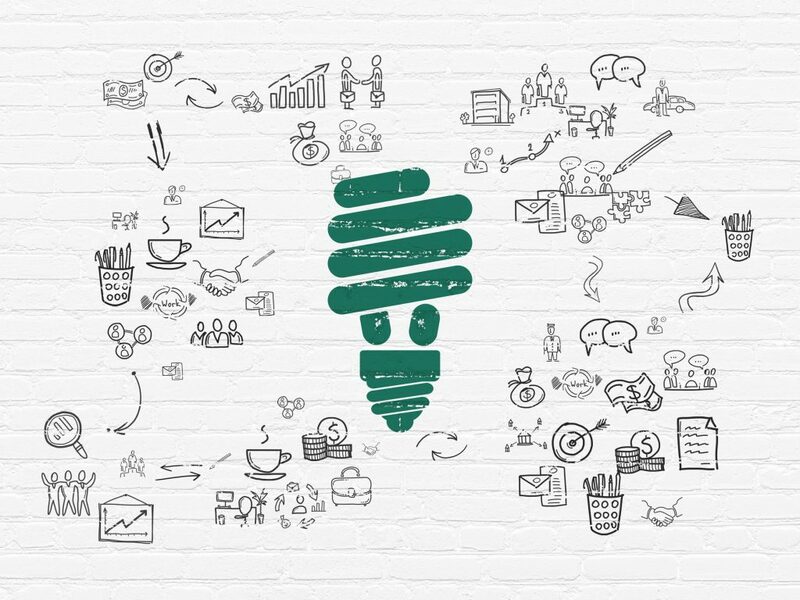 Partner Engineering and Science, Inc. principal Bob Geiger, one of the summit speakers, has noticed a major energy efficiency trend in his world of due diligence and property management. In fact, ComEd just launched a retro-commissioning (RCx) services express program, lowering the size criteria for office buildings to 150k SF (meaning smaller suburban offices are now in play). Bob will be discussing how office buyers and property managers are using ComEd and other tools to find energy and bottom line savings in Chicago. On January 1st, 2014 California enacted Assembly Bill 1103, requiring commercial building owners to provide energy disclosure documentation during building sale, financing, or lease events. Tune into our free webinar to learn more about the requirements of the law, recent updates, and how you can proactively ensure your building is in compliance. AB 1103 is finally in effect – as of January 1, 2014, applicable nonresidential building owners will need to benchmark and disclose their building’s energy usage. This webinar will review the requirements of AB 1103, what the process of energy benchmarking and disclosure entails, frequently asked questions, and easy options for complying. Because the energy efficiency rating disclosure could be considered a material fact in a real estate transaction, all transaction parties will benefit from an understanding of AB 1103. You are invited to participate in a free online presentation delivered by Partner Energy about meeting the requirements of and achieving points for the California Tax Credit Allocation Committee and the California Debt Limit Allocation Committee Sustainability Sections. Participation is limited so sign up today. If you have any immediate needs, please feel free to contact me at JMandler@ptrenergy.com or 310-765-7293. Learn how to cost effectively meet program requirements and to select accretive projects that both achieve sustainability section points as well as providing a financial payback. Please RSVP to the following email address with your name, company and contact information. Upon confirmation of availability, you will be sent an email with a link to the online presentation and dial-in information. Space is limited per presentation, so reserve your free spot today!